As December approaches, we all love to travel and sightsee. If you have a tight budget, and you don’t plan to travel, I would highly encourage you to just take a city walk. I have done this numerous times, and it amazes me how much you can learn by just walking about the city. 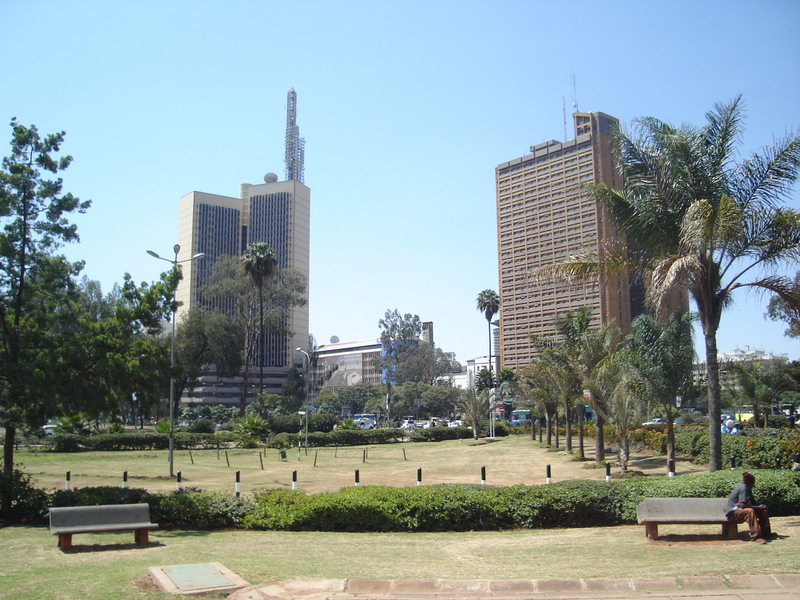 I should probably come back with a list of the sites to see and why, but for now, I will only speak about Uhuru park, and for a different reason. With that I mind, I want to mention four things you will likely see/ observe in Uhuru Park that will move you. The first is freedom corner. We all know Wangari Maathai. That’s the place she led a group of women in hunger strike to pressure the government to release political prisoners (while herself out on bail) in 1992. The women were dispersed after four days of protest, and Wangari Maathai and a few other women were subjected to such police brutality that they were admitted in hospital unconscious. Now that Uhuru Park is safe for us and our grand children, as a testimony to her contribution to its preservation, you will see the trees Wangari Maathai planted at freedom corner. The second thing you are definite to see in Uhuru Park is unkempt, haggard men fast asleep. Your first reaction, if you are like me, is that these men should seek gainful employment instead of just sleeping the day out. Of course what you will not know is that they are actually very hardworking men, taking care of wives and children upcountry at an amazing personal sacrifice; a sacrifice their families will probably never know. Most of their families will actually think these men are enjoying life in town with illicit lovers as they waste away in the village. This is how these men’s lives play out in a nut shell; they are security guards, loaders, cleaners and sweepers at night, they sleep during the day. These are men who have families, and take their responsibilities seriously. Earning 10,000 shillings or less in a month, they cannot afford to have a meal and commute daily to their dingy shacks in the slums and still manage to send something home. They will therefore be at their work stations at night, and sleep in Uhuru Park by day to save that extra coin for the more pressing needs of their families. These people are not begging or looking for sympathy, they are in the business of living. They have to make the ultimate sacrifice so that their children can have a brighter future. Sounds incredible? Just walk down to Uhuru Park and have a chat with them, meanwhile, you can read this article from mid last year on the Standard. The third thing you will see in Uhuru Park are the lovers. These are mostly low income youngsters looking for a place they can have quality time together. They will pass by a supermarket and buy fanta kubwa and some popcorn. The young girl will spread out her lesso on the grass and the couple will snug close, chat, laugh and forget about all the cares in the world (does the world even exist? They are the world, at least for that moment). There is something about young couples starting out together; the dreams, the hopes, the optimism that together they will conquer the world. You know that feeling you get when you attend a wedding- the chance that they might just get it right and be truly happy ever after. What I love about the youngsters here is that they look and feel totally unpretentious. They know where each other is, and they are comfortable with it. The young man is probably an errand boy in a nondescript office and the girl may be a house help. They are however optimistic that with each other, they can improve their lot. Lastly, if you pass by Uhuru Park during Christmas or New Year (and yes, I have been there), you will find a sea of humanity. The families from Karen and Runda will have flown to Johannesburg and Seychelles and Egypt and Dubai and all manner of fancy places. Those from Buruburu and the likes will be in Mombasa and Malindi and Maasai Mara. Then majority of us from Kariobangi and Githurai will have travelled upcountry (sipping bottled water and wearing oversize sunglasses). But then there are the young families who didn’t have money enough to meet the hiked fares to their rural homes. Uhuru Park is only 30 shillings away. There is cheap ice-cream, face-painting, acrobats, dancers, peanuts, merry go rounds, and so much more that will make a 7 year old feel like they were in paradise – and that with no entry charges. There are thousands of young parents, mostly mothers clutching on to their children trying to give them the holiday cheer and that “mummy loves and cares for you” feeling. As wangari Maathai would put it, “they walk there and share that dream and that joy of freedom” in their own small ways. Maybe they too will one day be able to fly to Johannesburg for shopping on their way to Seychelles for Christmas.